SMBs usually see one person running the show and trying to do everything, the Atlas of their own world. While it can be cumbersome, sometimes it’s a necessity. Especially when it comes to the accounting. So in this blog we shine the light into a few dark corners and point out a few simple things you could be doing differently that would save you a load of time and smoothen out the ensuing process. Keep your personal and business accounts very very separate. As separate as you keep your personal affairs away from your business affairs. 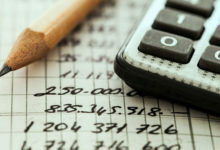 Because if you use them interchangeably, not only will you face a slew of accounting and tax headaches later, but you will also end up skewering your own brain trying to keep track of your expenses and revenue and incorrectly predict your business forecast. 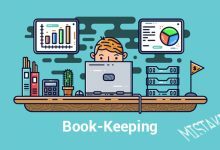 Book-keeping well done means a tidy record of all your transactions, a track of invoices, due or late payments, and an understanding of where your money stands. If done properly, you can generate accurate business reports which in turn help you understand your cash flow and helps you make better financial decisions, and lubricates the entire accounting process till tax day. You will be surprised to know how much depends on a good invoice and getting your money back on time. First, it needs to be very clear and uncluttered, stating the important things – amount owed and due date. Ensure the due date is a reasonable term. Employing an inviting template can do you no harm. Many accounting software (like QuickBooks, Sage and FreshBooks) offer invoicing tools which can be used to track and report invoices. Furthermore, a digitised invoice can be sent in an instant, can’t get lost (since it’s on the cloud), avoids duplication, and links arms with the paperless movement. Regularly sleuth your accounts receivables is a good habit to get yourself into. It helps to know what you are owed, where your money is stuck, and where your money is flowing. Exercising the practice of reviewing aged receivables (or even aged payables, for that matter) gives you an at-a-glance list of what stands where. Then you can decide on appropriate well-informed action to take – gentle reminders, follow-ups, dunning letters, imposition of penalties. It also helps you understand how much you have and what you can spend. You may be eligible for tax breaks or incentives, or you may need to plan to legally get a tax break. Or you may just need to pay that tax. Irrespective, are you planning? Are you putting aside the money? Are paying a year-end lump-some amount or projecting it and grading the payment through the year? Are you taking note of deadlines? Are your accounts in order? Or are you setting yourself up for a legal hydra? It is our hope that we’re scared you enough to pay attention to your taxes. Doesn’t this go without saying? If you aren’t aware of what you are making or losing, the entire business goes for a toss. You could end up making the most atrocious mistakes, overspending, underspending, squandering when you should exercise prudence, scrimping when you should be a tiny bit improvident, and so on. This document gives you a snapshot of your overall finances over various periods and business cycles. 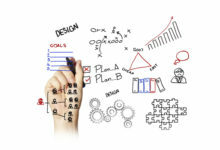 Use this data to review your sales and growth, spot any trends, and re-evaluate goals. This also allows you to predict your profit margins and take measures to improve it.